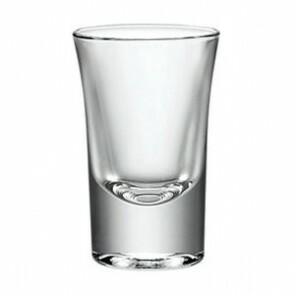 Shot glasses, also called the shooter, are small glasses which are dedicated to strong spirits tasting or other shot cocktail recipes! 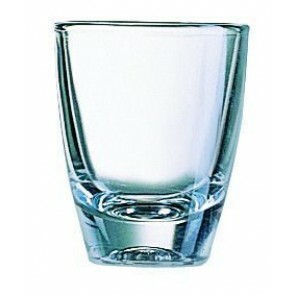 With stems or with a flat bottom, the shot glass is featured in various sizes and different shapes. 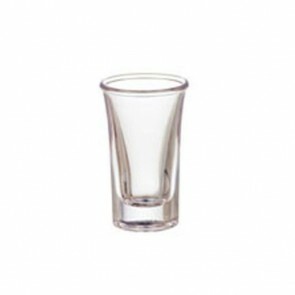 AZ boutique features a large array of small shot glasses in our digestive glass section! The origins of the shot glass? Though we do not know the origins of this glass for sure, several hypotheses are available for its name. One of them would be that bullet cartridges were often exchanged for whiskey shots in far west saloons: a shot for a shot. 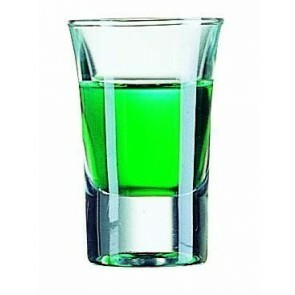 The shot refers to the small amount of alcohol which can be contained in this type of glass and which cannot be sipped but must be drunk in one single shot. This also refers to the espresso shot. 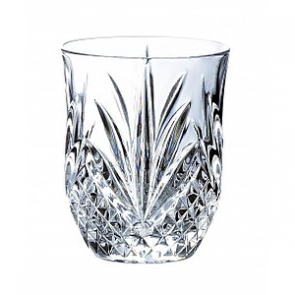 Nowadays this type of glassware is used to serve many cocktails which are especially appreciated by youngsters. Small shooter glasses line up on the counter of a bar to form attractive colored mosaics. 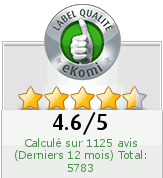 Some even collect personalized shooter glasses decorated with pictures, commercials or cartoons. How to use your shot glasses? 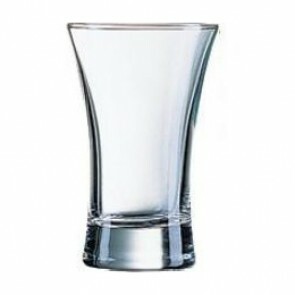 With a capacity ranging between 5 to 10cl, the shooter glass may be small in size glass but this very strong glass is popularly used to taste strong cocktails in one single shot. Some will even "hit" the bottom of the glass strongly against the table to froth the mixture inside and drink it all at once: this is the case of the famous "tequila boum boum", the shot glass is must therefore be very robust. 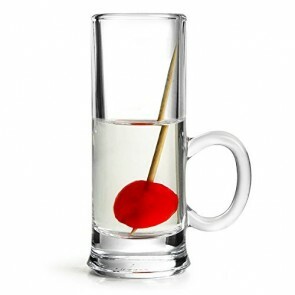 This glass is perfect for flambé cocktails because the thick glass can withstand the heat! If you are a fan of cocktails which require frosting look for tempered glass. Some elegance for your celebrations! 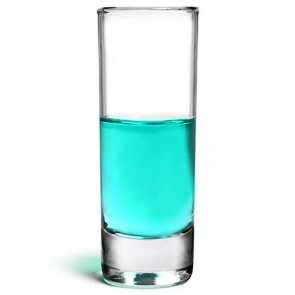 In fact, the rule is that the strongest cocktails are always served in small glasses like for instance the Shotgun, the Kiss Cool, the Vodka Carambar, the B52, the Kalashnikov, Moscow Mule, the Irish Car Bomb among so many others! 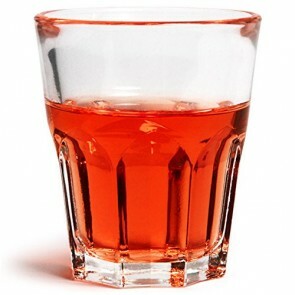 On the other hand, the finest and low-alcohol cocktails such as the Hurricane are served in a larger, thinner and more elegant cocktail glass like the martini glasses or the highball glasses. The shot glass will be the perfect elegant accessory for your next bachelorette party or gamenight. You can use personalized shot glasses as wedding favors. You can also fill your shot with candies or a candle for an elegant homemade wedding favor, valentine favors. 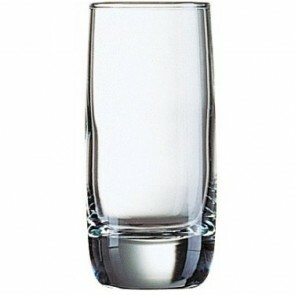 For an unforgettable evening, discover our very wide range of resistant glasses for any beverage. 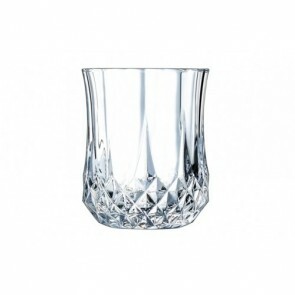 water glass, wine glass, aperitif and cocktail glasses, tumbler, digestive glass, our selection of glasses is really extensive: you will namely find cheap shot glasses, beer glass, pilsner glasses, pitchers, champagne flutes, brandy glass, beer mugs, whiskey glass, champagne glasses, tasting wine glass, tumblers, margarita glasses, cordial glasses, liqueur glasses, martini glasses, whiskey glasses, clear plastic glasses. 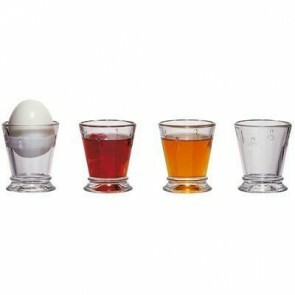 You are sure to find the perfect shot glass set whether you are restaurant manager or even planning a wedding party. You can even make your own personalized wedding favors by filling your glass shot with candies or a candle. 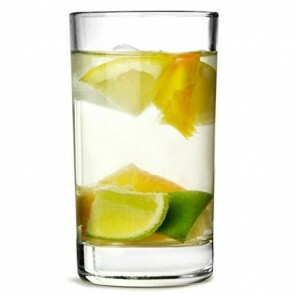 Want to become the perfect home bartender for your next gathering and stand out of the crowd: have a look at our fancy barware and sturdy drinkware section which features coasters, wine holder, buckets and coolers, cocktail shaker, cocktail accessories including straws and multicolor decorations.